Introducing this new addition to the Gin Shu Collection. 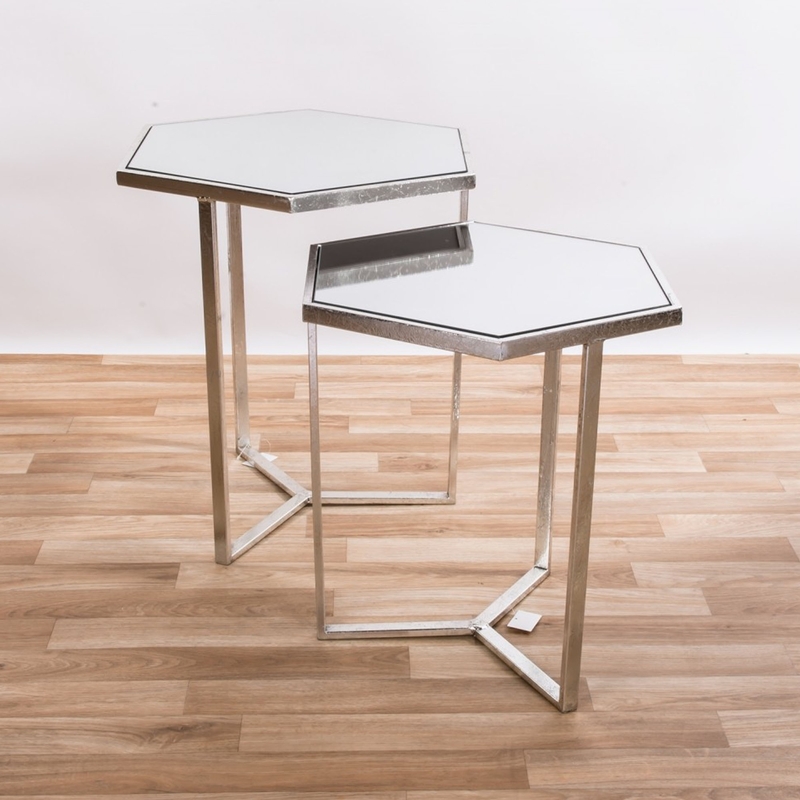 This amazing Gin Shu Silver Glit Leaf Hexagonal Metal Table is a perfect way to add something different to your home. With a metal frame finished in a shiny silver colour it will simmer perfectly in the light. Finally, topped off with a mirrored table top this nest of tables will fit amazingly in your home.